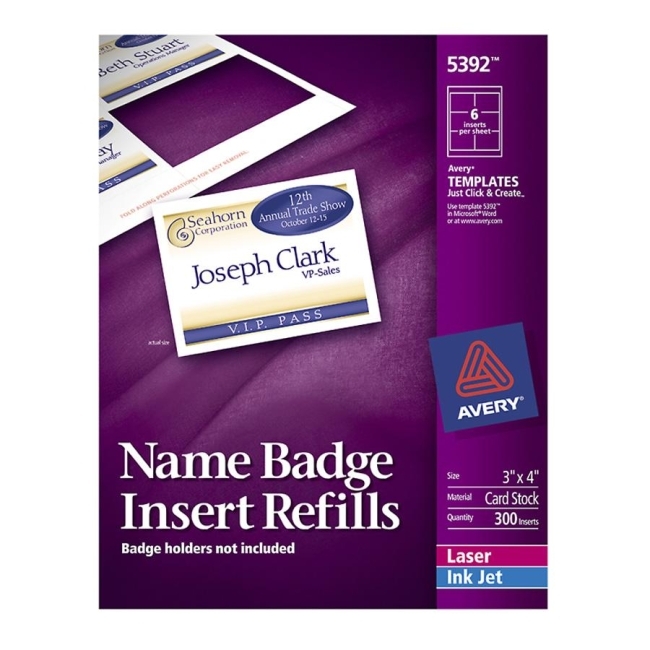 Refill resupplies Avery Name Badge Kits so you can make more professional-looking name badges with inkjet or laser printers. Ideal for meetings, seminars, special events, conventions and more. Each sheet is microperforated to tear cleanly, leaving smooth edges. Avery offers many easy-to-use templates for Microsoft Word and other popular software programs. 7.6 mil thick.